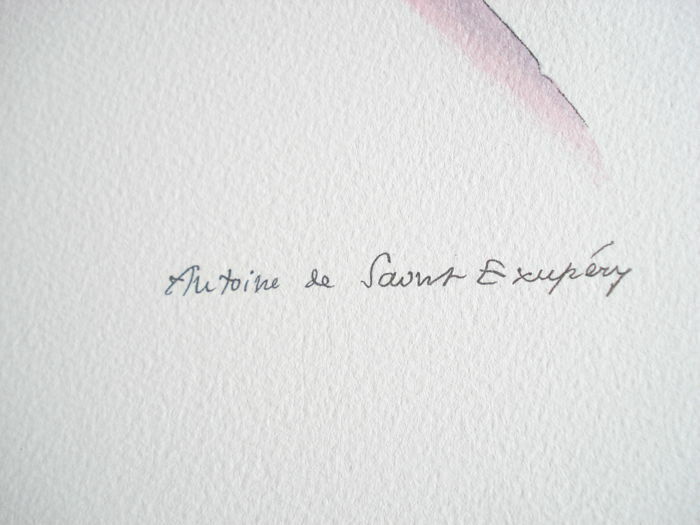 Lithograph size: 50 x 40 cm, signed on the stone. 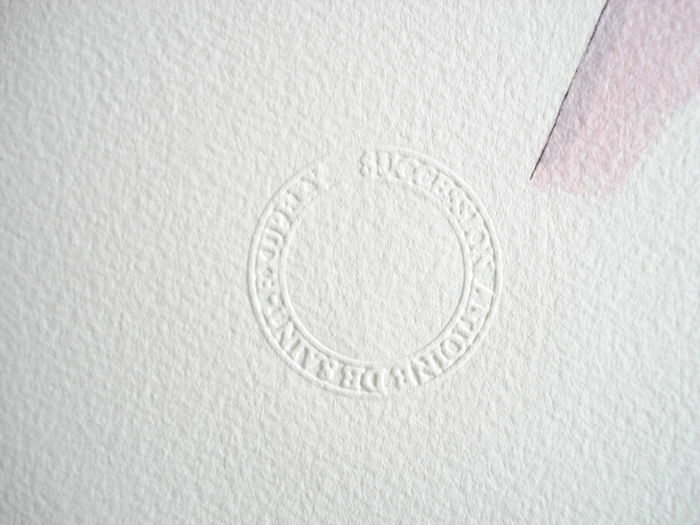 Authentic blind stamp of the ‘Succession Antoine de Saint-Exupéry’. Condition: Perfect condition, not framed. 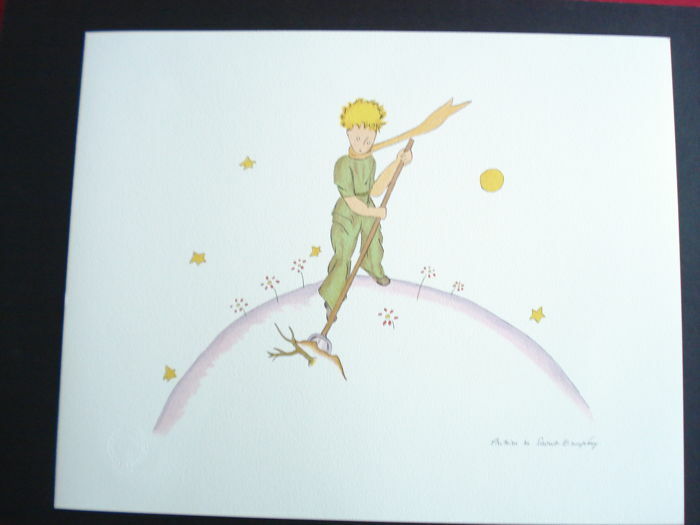 Antoine de Saint-Exupéry, born June 29th, 1900 in Lyon and disappeared in flight on July 31st, 1944 at sea, off Marseille, died for France, is a writer, poet, aviator and French reporter. 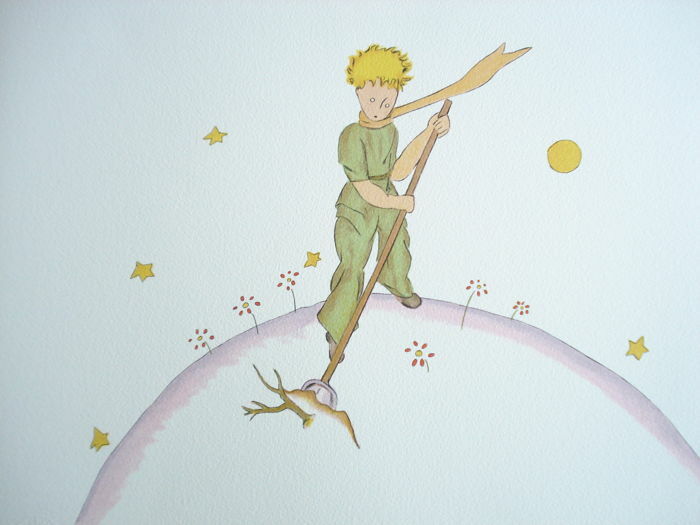 From 1932, Saint-Exupéry devotes himself to journalism and air raids He made international report in Viet Nam in 1934, in Moscow in 1935, in Spain in 1936, that fed his reflections on humanistic values. Terre des hommes, published in 1939, received the Grand Prize of the Académie française. 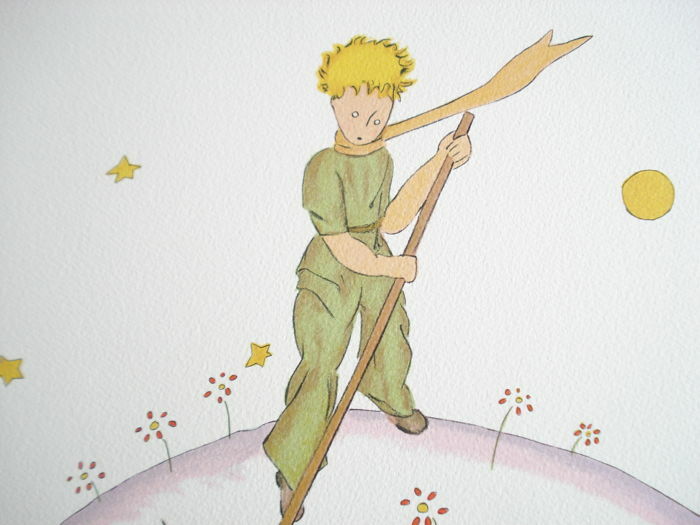 Le Petit Prince, written in New York during the war, was published with his own watercolours in 1943 in New York and in 1946 by Gallimard in France. This tale, full of charm and humanity, became a huge worldwide success.